Here’s the link to my latest travel article on National Geographic’s Intelligent Travel Blog. This was my first piece for them, and I’m really pleased with how it turned out. 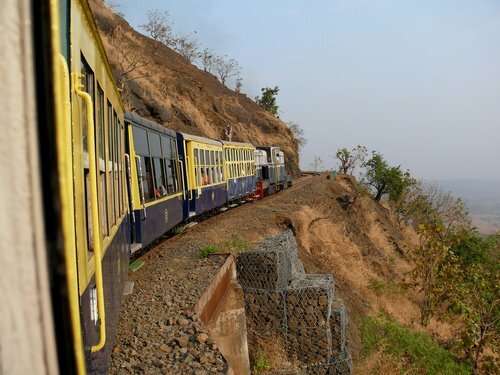 This piece is about the Toy Train in Matheran, a hill station outside of Mumbai. India has submitted the toy train, which made its first run in 1907 during the British Raj era, to UNESCO for consideration as a World Heritage Site. What was nice about writing this piece is that I mined two different areas to come up with my pitch. Using the power of Twitter, I had just happened to save a search column on Mumbai. One evening when I was looking at that column’s most recent tweets, I saw the headline about UNESCO officials in Matheran. I visited Matheran in 2004 and wrote about it on this blog. I used that blog post to jog my memory about the place, did a little research, and voilà! – a new clip!